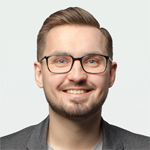 Send an email to Vadym Matuzenko Please fill in this quick form to contact our expert directly. Simplifying a complicated procedure of granting access to the same vehicle from one driver to another. Eliminating the number of lost keys to commercial vehicles. Therefore, the company decided to replace physical keys with digital ones and that is when Infopulse team was addressed to come up with a viable concept of a Digital Key Solution. The developed concept of the Digital Key Solution had to enable access via a smartphone or an employee’s ID card integrated into the complex ecosystem of a logistics center. Lending access to the trunk of the car and not the car itself. 1. Using an NFC-enabled smartphone, which scans the vehicle’s NFC tag. In this case, there’s no need to modify the vehicle’s hardware because a programmable NFC tag, containing a little unpowered NFC chip and functioning as the vehicle’s identifier, can be simply stuck to the side window. The car access is additionally secured by authorization via cloud. Below, you can see how all these units communicate to enable an access to the car and what are advantages and disadvantages of this communication flow. 2. Applying an embedded NFC reader and managing authorization via cloud. Another option is to use an NFC reader (e.g., ) embedded in the vehicle’s door handle instead of the NFC tag. 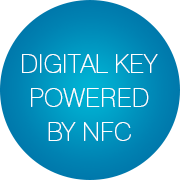 Unlike tags, this NFC frontend integrated circuit (IC) provides low-power card detection quickly and reliably identifying the driver’s ID card or smartphone. Thus, to enable the following communication flow, hardware modifications as well as card renewal are required. However, compared to the previous flow, this one may go without the permanent Internet connection. 3. Applying embedded NFC reader without cloud. Another communication flow incorporates the same units (NFC frontend IC + access card/mobile phone), yet it excludes authorization via cloud and thus, no Internet connection is needed. The access card is provisioned with a certificate for different cars based on their security keys. The vehicle requests access confirmation from the server to allow access for each card. Embracing advantages of both approaches, it’s possible to introduce the flow when the vehicle sends a request to the cloud and caches the result. To address multiple NFC-related security issues, that are likely to appear alongside the described communication flows, the team built a security approach based on a number of protocols, cryptographic algorithm and tools that ensure a hack-proof authentication and reliable access control. Employee’s ID card can be used not only to determine a driver’s identity but also to allow them to access company’s vehicles. Its apparent advantage is lower cost for provisioning. Moreover, if an ID card is lost or forgotten, it can be easily replaced in just several minutes and without compromising delivery timelines, which is important for business continuity. An alternative way is to use a mobile app on an NFC-enabled smartphone, which allows remotely changing a driver’s access rights by over-the-air updates at any time. Flexibility of using a smartphone for unlocking a vehicle can also simplify a car rental procedure. At the same time, both ID cards and smartphones can be used concurrently to match individual preferences of drivers. Each access card/app can be programmed in advance to access different vehicles and to reach long-term delivery plans. Several cards/apps can be set up to access the same vehicle within different timelines of a delivery calendar. For OEMs – higher security, simplified use and ability to collect end users’ data. For device vendors – ability to create integrated smart home solutions and transportation apps. For rental companies – higher flexibility and privacy, rentals management. For car sharing companies – secure transfer of keys, optimized vehicle management. 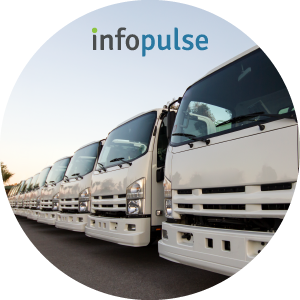 For transport enterprises – streamlined fleet management.